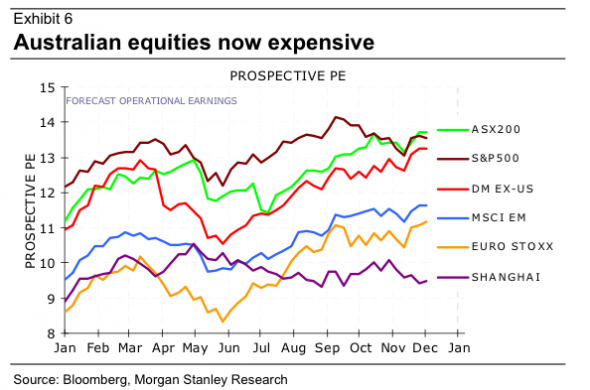 Based on the forward price-earnings ratio, the S&P 500 is one of the most expensive markets in the world. Click on the image for larger picture. Source: Bloomberg, Morgan Stanley Research. 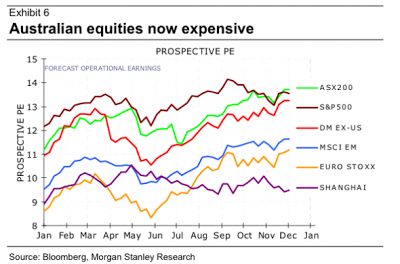 However, the Chinese stock market is one of the most affordable in the world.